Who are the OM People? Our Mission is to create a community for dedicated students and teachers who are committed to embodying their practice. Join us for transformative events, immersions and teacher trainings that will take you deeper into your practice to reveal a life with greater connection and flow. Irene Ais has spent 15 years exploring the ancient practice of yoga and takes her students on a journey to discover the power it has to transform lives. Irene’s mantra is founded on awareness - she believes our relationship with life transforms when we begin the journey of self discovery. Her extensive time studying the mind and body through yoga, physiotherapy, AcroYoga and Pilates adds a unique dimension to her teachings. This knowledge coupled with an innate understanding of the mind/body connection makes for a powerful combination. Irene is passionate about helping students navigate physical poses whilst offering an invitation to drop into the energetic practice. The layers inherent in her teaching draw participants out of the thinking mind and present an experience of deeper self-awareness. 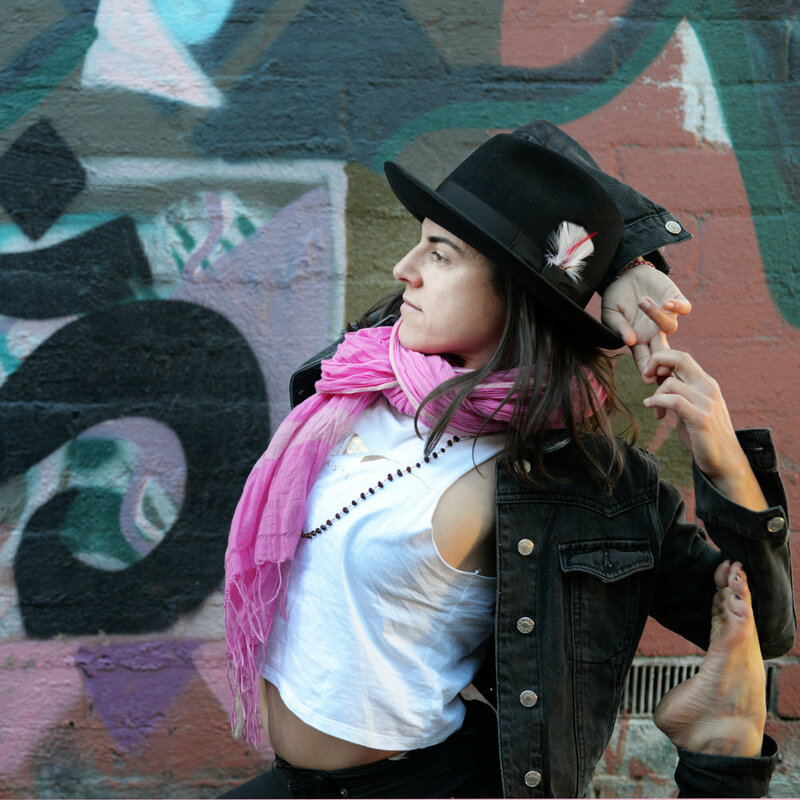 Irene’s strong Hatha Yoga classes will challenge students to explore their edge and find the joy in movement, whilst she focuses on finding each practitioners‘ unique alignment. Irene has been facilitating 200hr trainings for 3 years, regularly leads advanced teacher immersions and is the creator of the sold out Therapeutic Yoga for Health Professionals course. Josh has garnered quite a following in Melbourne where he is known for his energetic, transformative and inspiring classes. Deeply respectful of the origins of yoga and acutely aware of modern day needs, Josh brings everyday balance and flow to his teachings. Forever a student, Josh spent time training in L.A with acclaimed Black Dog Yoga and global training hub Sri Dharma Mittra at Dharma Yoga Centre in New York City, as well as taking many trips to India to connect with the origins of this ancient practice. One of his talents lies in supporting and facilitating teachers and students of all levels to embrace their fears through focusing on alignment, technique and gaining a deeper understanding of the purpose and place of each asana. Josh's commitment to a daily practice and his own desire to deepen his own knowledge makes him an inspiring teacher. Josh’s passion is to guide people to a place where they can feel more connected to themselves. In this quest to facilitate a higher state of consciousness in his students, he brings pranayama, meditation and kirtan to his classes. Josh’s personal mantra is fostering a deep connection to self as he believes when this occurs, we can begin to live life in a state of balance and flow. Mark is a full time yoga teacher and founder of Westside Yoga School in melbourne's West. He has trained at the Australian Yoga Academy, is a qualified Exercise Physiologist and specialist Yin teacher. With over 15 years of deep personal exploration, his teachings extend beyond the physical practice to incorporate the 8 Limbs of Yoga. He teaches as he lives - seeking seamless integrate philosophy, meditation, mindfulness and physical practice into a conscious and connected everyday life. Mark's classes have been described as warm, accessible, challenging, thought provoking and deeply connected. When not on the mat you will find him near or in the ocean. A longtime surfer with a deep affection and affinity with Mother nature. "The connection between the ocean's energy and the energy of the Self is seamless. Surfing in many ways is Yoga on a board. Constantly seeking the balance between effort and surrender is the key to life." Andrew Mournehis started his career in Melbourne as an Optometrist looking through the “Windows of the Soul”, before giving it all up to fulfil his long standing dream to dance and choreograph in London. This lead to an incredible opportunity to choreograph Tina Turner’s 1996 ‘Wildest Dreams’ world tour. At the peak of his career, a knee injury and visa expiry forced him to return to Australia, where he became extremely unwell with a life threatening illness and sought out a healing path. He turned to Yoga to heal his heart and his body. He immediately fell in Love with the practice, studied vigilantly, and in 1999 began teaching yoga to packed classes. Andrew is also Creative director of “Divinegrace Yoga” and "Dance of the Deities"